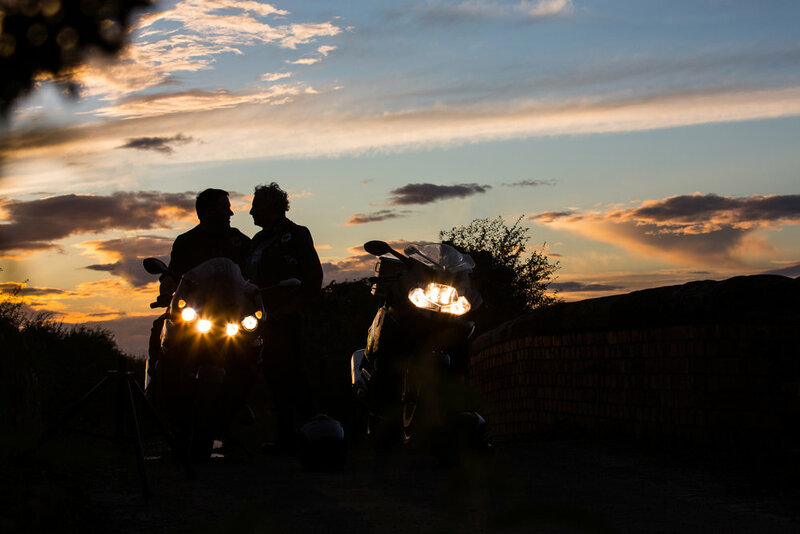 When we first talked about the wedding, Mel and Sas told me about how they were turning up to their chosen Grantham venue, on their motorbikes. 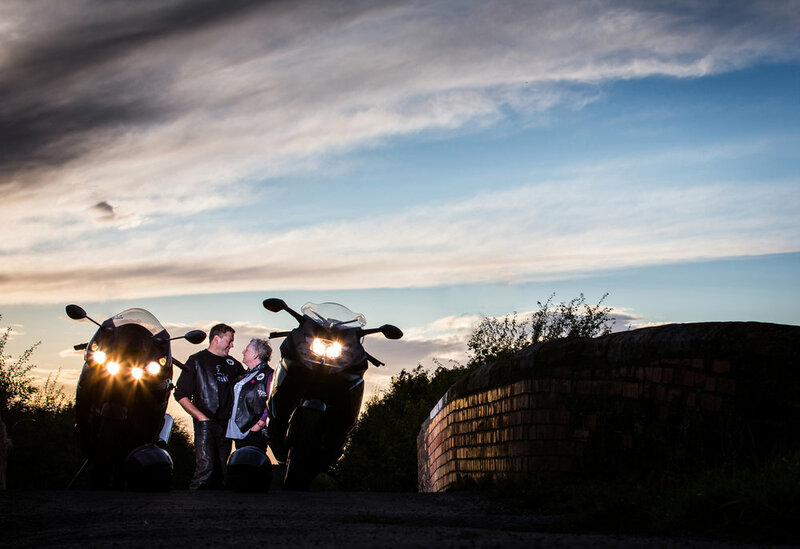 This wedding, I thought, would rock; I was so keen to be their chosen wedding photographer. I was obviously then, delighted when I was chosen to shoot this day-with-a-difference and we attempted on a number of occasions, to book in an engagement shoot (a.k.a pre-wedding shoot). 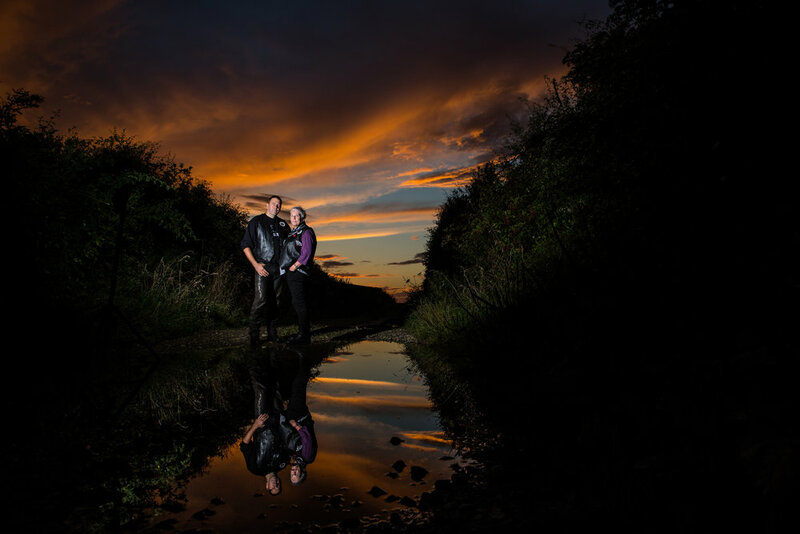 These shoots are relaxed, light-hearted and great fun and we all talked about how it would be great to get a evening with a sunset. You would think, wouldn't you that this would be relatively easy to do in August? Well, more-fool-us! Rain and forecast rain that didn't appear put paid to our first few appointments but last Friday night, the Sun decided to put in an appearance for us. 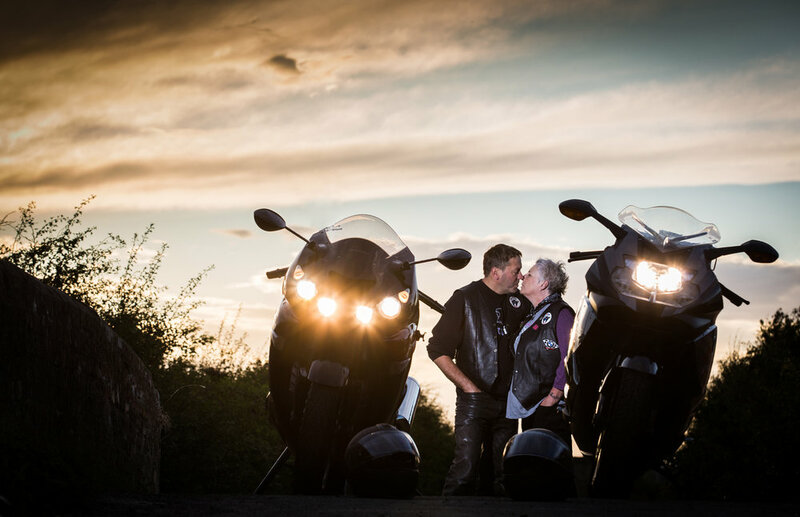 Mel and Sas love their bikes and I love taking photographs using creative lighting techniques which allow for images with a sense of drama. As the evening drew on, the light got better and better as the Sun lowered in the sky, creating a stunning backdrop. We finished the night with what I think are my favourite images from the shoot - the colours in the sky were exactly what we wanted. 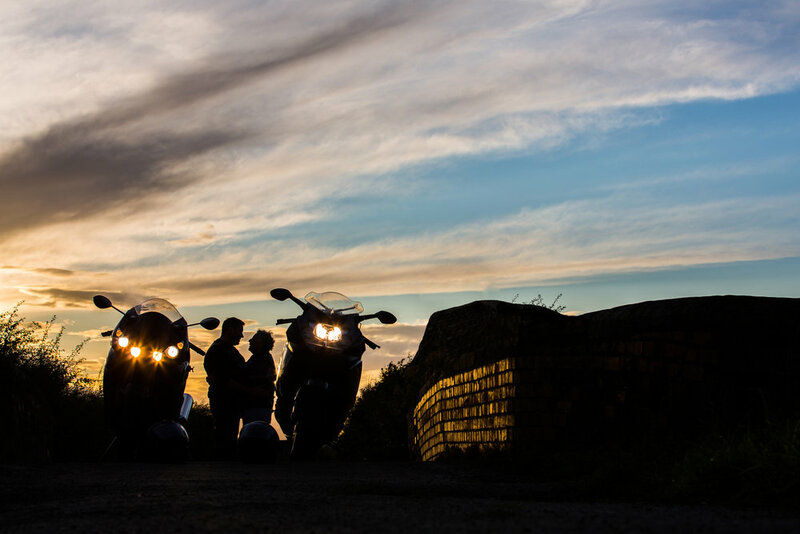 The big, biking day is not far away! Can't wait.